When faced with financial difficulties brought about by the loss of a job, an illness or injury, or other unanticipated liability, many people can work themselves into a panic and make poor decisions regarding their financial issues. In some instances, people may convince themselves that they can correct these issues by avoiding or neglecting their tax obligations. Many people justify this decision by telling themselves that they are “only a small fish” and that they aren’t worth the IRS’ time. While we can debate whether this belief was true in the past, it is undoubtedly false in today’s tax climate. In recent years, the IRS has significantly stepped up enforcement efforts by deploying computerized systems that screen for badges of non-compliance or fraud, and additional enforcement agents who target US taxpayers who fail to file or pay taxes. To be clear, it is simply never advisable to avoid one’s tax obligations, whether domestic or foreign income is involved. Typically, decisions that minimize or evade one’s tax liabilities result in more serious problems and greater financial distress than the issues that originally motivated the conduct. 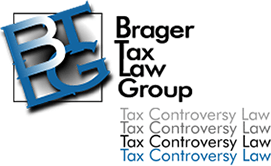 The experienced attorneys of the Brager Tax Law Group can help you correct your tax problems while ensuring that you don’t create new tax compliance issues. To speak privately with a tax lawyer, call our law offices at (800) 380-TAX LITIGATOR today. What Should I say if I Failed to File and the IRS is now Questioning me About it? The failure to file required taxes. The failure to pay taxes. Providing false information regarding a tax return. Failure to keep and maintain required records. However, if you state that you did not file the taxes, you have just admitted to a serious violation of the US Tax Code. Therefore, in situations like these it is often advisable to tell the agent, truthfully, that you need to review your records prior to answering any questions that carry a legal consequence. The IRS is typically willing to grant an extension for 60 to 90 days. During this time you should meet with an experienced tax lawyer so that you can begin to formulate a legal strategy to resolve your unpaid taxes or any matters of non-compliance. What Crimes or Violations are Associated With a Failure to File? 26 USC §7202—Addressing an individual’s willful failure to collect or pay tax. 26 USC §7206 – Addressing an individual’s false statements made under oath. 26 USC §7212(A) – Addressing a taxpayer’s interference with the administration of the US Tax Code. The above include some of the more common laws that can be associated with a taxpayer’s failure to file. However, other penalties can also apply. In situations where there was intent to defraud the US government, charges may be filed under 26 USC §6663, 26 USC §7201, or 18 USC §371. While the Offshore Voluntary Disclosure Program is only available to taxpayers who are not already under investigation, the OVDP may offer a way out of tax problems. However, taxpayers should proceed carefully before availing themselves of programs like the OVDP, because such programs do not guarantee amnesty. Because these programs are discretionary, the IRS may choose to withdraw them at any time. For all of these reasons, it is critically important that individuals with tax compliance issues speak with a tax attorney as soon as possible. Otherwise, you may compound your tax problems by enrolling in an inappropriate program, or lose out on legal options due to missing deadlines. To speak with one of the Brager Tax Law Group’s dedicated and experienced tax attorneys, call us at (800) 380-TAX LITIGATOR or contact us online today.